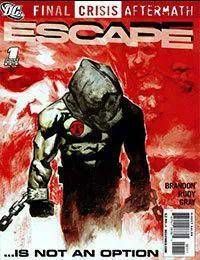 Nemesis awakens to find himself held captive by the Global Peace Agency inside the walls of the mysterious Electric City. His fellow prisoners are all members of the superhuman intelligence community, and theyre subjected to systematic torture in an attempt to siphon the secrets of the DC Universe heroes in an effort to destroy them. As Nemesis works to escape, he finds few people he can truly trust. But nothing could prepare him for the hideous truth behind his situation!